For a guy getting out of prison finding a job can be difficult, if not impossible for many. Baltimore has an estimated 6,000 men and women returning to the city every year after serving time in jails and prisons for various crimes. After serving almost twelve years in prison I needed only the most fundamental things in life when I got out. Things that we all strive for on a day to day basis to survive. The only way I could acquire those things was to find a job, a legal job. When I got out of prison suddenly I found myself trying to rebuild my life in a world contaminated with snakes and scavengers. In a world where having the most money and the biggest houses trumps integrity and honor. Everybody’s trying to come up and everybody is trying to eat well. If I could run a drug operation on the street, why couldn’t I run a small business. Why couldn’t I be on the staff of a marketing or sales firm? My story is the story of far too many black men in Baltimore who have skills but can’t get hired because of their criminal background. So, why not just look to the streets again for an opportunity to make money. The word was out that I don’t have a chance getting a job anyhow, so why not flourish in the heroin game? I watched many before me do it and do it well. By the time I received my first criminal conviction at age 19 I didn’t think I had a chance at getting a good job then, so this mindset was nothing new. I didn’t believe any employer in Baltimore would give a young black kid from the streets a decent salary. After my first arrest, rationally or irrationally, I felt like I would never have any other choice but to hit the streets. By age 23 I was making over $20,000 a day selling $10.00 bags of heroin in West Baltimore to any man or women who would buy them. The peak of the heroin business was profitable and we thought we’d made it. But the irony is that I never enjoyed the shootouts on Mount Street with rival crews and I never enjoyed carrying guns everywhere I went; eventually it became exhausting. We just wanted the American Dream and to marry the preacher’s daughter. We wanted to buy the big house up on the hill with the two car garage and get as many frequent flier miles as we could travelling the world. We wanted a normal life like everyone else but once we got that first conviction finding a job or career was never a possibility in our minds. Drug dealers are economic animals just like corporate America. They’re looking to build a business and making a profit is top priority. I didn’t get in the game because I had aspirations of becoming the best drug dealer, I got into the game because I had aspirations for a better life. There were no lawyers or black doctors in my life at the time showing me the way. All I knew was people in the streets who sold dope; people like me looking for a way out. The issue of employment after incarceration is especially important to many families in Baltimore, where every year men and women are released and prisoners return, roughly half the state’s total number of releases. A city law aimed at helping former offenders find work requires many employers to wait to ask about a job candidate’s criminal history until a conditional offer has been extended. By way of bad policies society is literally pushing these men and woman back out into the streets to deal drugs just earn a living and put food on the table. We deserve a decent opportunity to make a living just like any other person. No man or woman should be sentenced to a life of sweeping the streets or flipping hamburgers if that is not something they choose to do. One mistake or two mistakes and for that matter three mistakes shouldn’t be a mark on your life that lasts forever. We must do better by these individuals if in fact we are ever going to do better for our society. 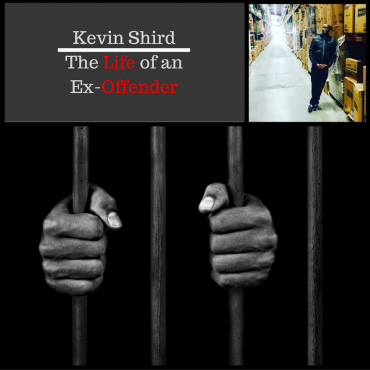 Looking for more from Kevin Shird? 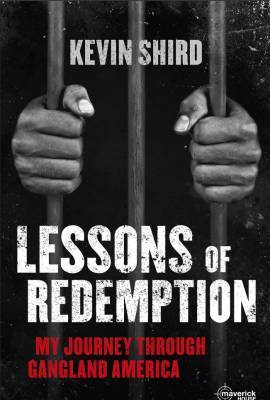 Be sure to check out Lessons of Redemption, available on all good e-readers, with limited stocks of paperbacks available online and through retailers in Ireland and the UK.